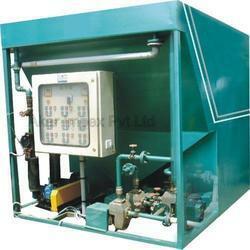 Manufacturer of a wide range of products which include treatment plant construction service. We also specialize in executing Treatment Plant Construction Service for our clients while handling turnkey projects. Our activities in the field involves jobs related to construction of sewage, Industrial waste water and Water treatment plants. The company undertakes civil construction job only on the request of the clients. However, if the client desires to get the job done by other party or himself, we will provide civil engineering drawings and other specifications that would support the project for treatment plants. We maintain a large inventory of materials required for civil construction jobs.